Then Corcoran had a few pre-market pocket showings last year before putting the listing out properly. Then they put together a "meh" listing compared to their usual standards, where they went to lengths to assure buyers this property is "far from a lump of coal." 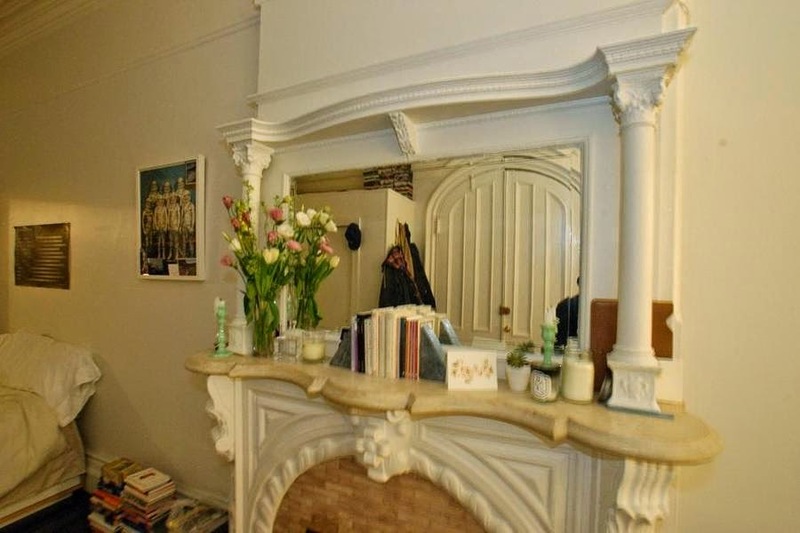 Any look inside is better than none, and the house is totally legit, especially for this price. 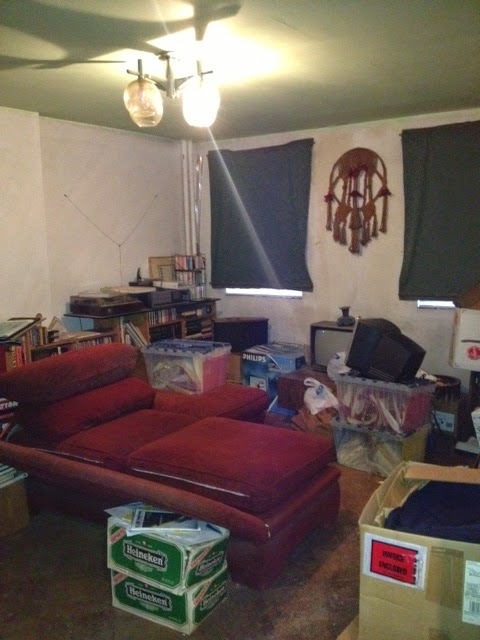 There was a rub, however, on the listing which demanded, "ALL CASH BUYER ONLY." That's because they were postponing foreclosure and claimed to need well over a million in cash (at least) to get the bank off their heels before they could even begin to start counting proceeds for the owner and broker. Just under 18' wide with an owner's duplex and 2 floor-thru's on top, a short yard, and few original details worth keeping. 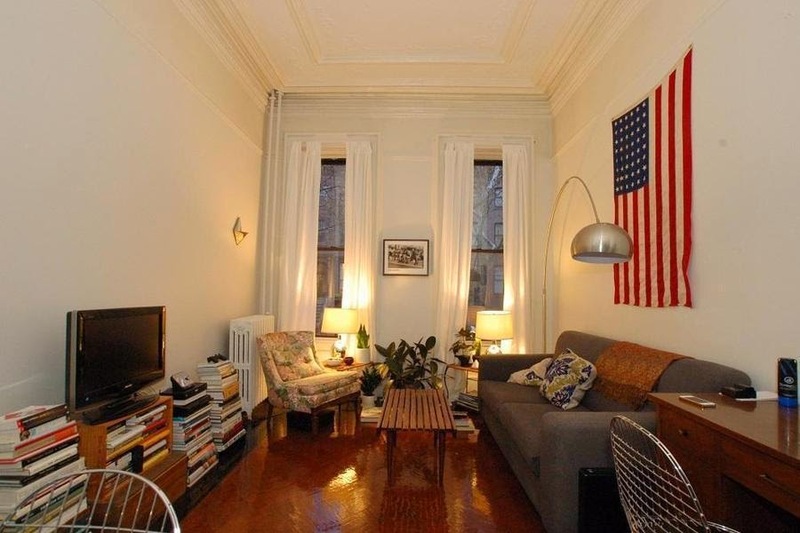 This is about as nice as it gets under $2M in Fort Greene. Those who hated on it can expect to spend well over $2M for anything significantly better, and even worse things can command $2M+ if anyone knows about them. 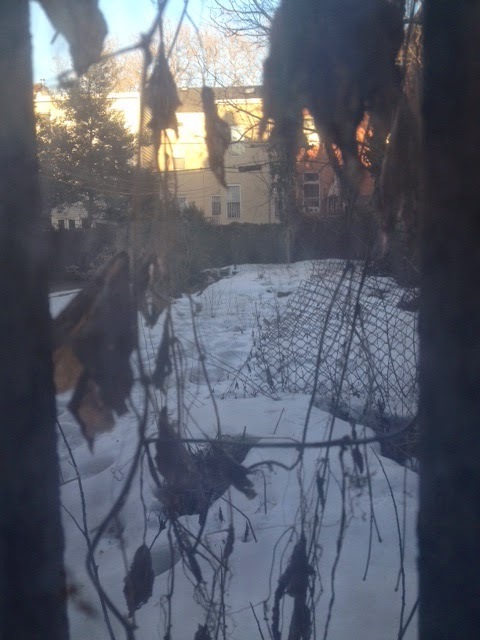 But when off-market properties fall in the Fort Greene forest, do they make a sound? It's funny to see owners and brokers playing hardball with offers over $2M who are willing to bend over backwards to get the bank off the owner's tail, only to sell for $1.7M at auction. You may think you're holding all the cards when you're dealing with a lot of cash and a seller who's only other option is foreclosure auction, but that presumes the seller isn't crazy enough to go down with the ship. It takes years and years for a property to actually hit those courthouse steps, but eventually the music does stop. Just goes to show, if you don't know what you're doing, whether it's the best of times or the worst of times in the market, you may end up missing out on your own equity. Ideally: buyers who tenaciously chased the deal came out on top. 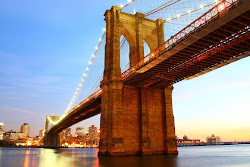 The Brooklyn real estate market continues to baffle most, but it's a pretty simple equation. Supply is at historical lows, demand is at an all-time high, so prices are breaking records. Our city is filled with spectacularly wealthy people, so all it takes is a few to decide Brooklyn's suitable for them to drive these prices up ever higher. It shouldn't be a mystery why its happening, but the result is prices that give even the most seasoned observers altitude sickness, including us. $1,000 square foot condos are kinda scary for buyers to think about occurring consistently in brownstone Brooklyn, even though they're over $1,200/sqft in generic Williamsburg already. But the $1,000/sqft townhouse?? That's even scarier! Come on down to the 3-story 53 2nd Place - just 19' wide on just a 65' lot!! 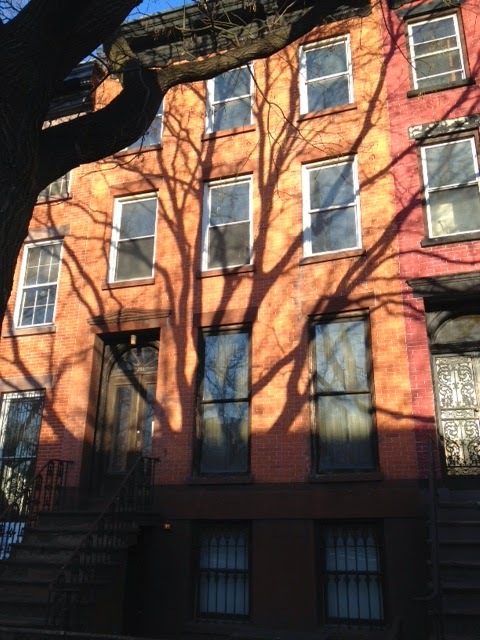 - which sold this month for $2.45M, or over $1,000/sqft for a townhouse. 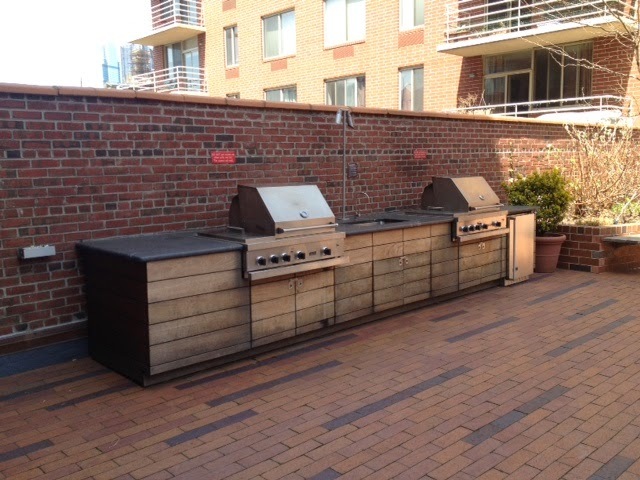 The old Silvershore operation snagged it for $1.3M in 2013, and now they've sold it for $2.25M this year. And just who was such a glutton for punishment to take on this massive project? 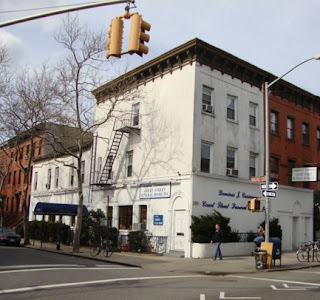 Why none other than savvy folks who bought 296 Dekalb Avenue in 2012 while wanna-be's were still trying to use 287 Dekalb Avenue as a comp over a year too late. Given this activity, are you actually still surprised when Stuyvesant Heights gems listed for $1.25M "soar over asking price" to $1.5M?? The day it listed, we told Platinum Members to run (not walk) to the limestone trophy piece at 106 Bainbridge Street with its list price of $1.25M. It closed for $1.5M last month. Platinum Members passed on a similar house a few doors down pre-market around this price range, and now it's coming to market with a renovation and higher price tag - no surprise. 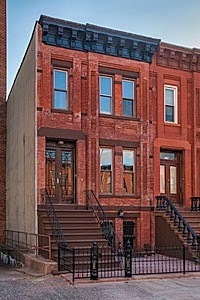 This house, unlike every other one in Bed-Stuy that claims it, actually IS next to Peaches, y'all! 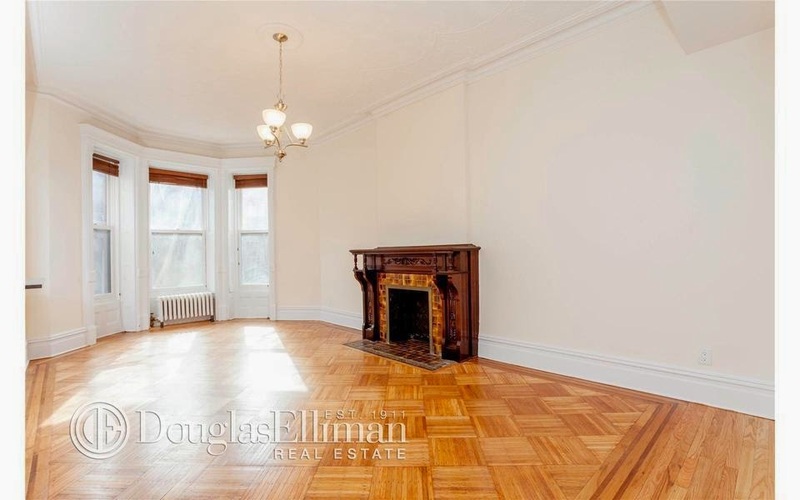 And Crown Heights still offers value as another healthy 3-Family fetches its asking price. 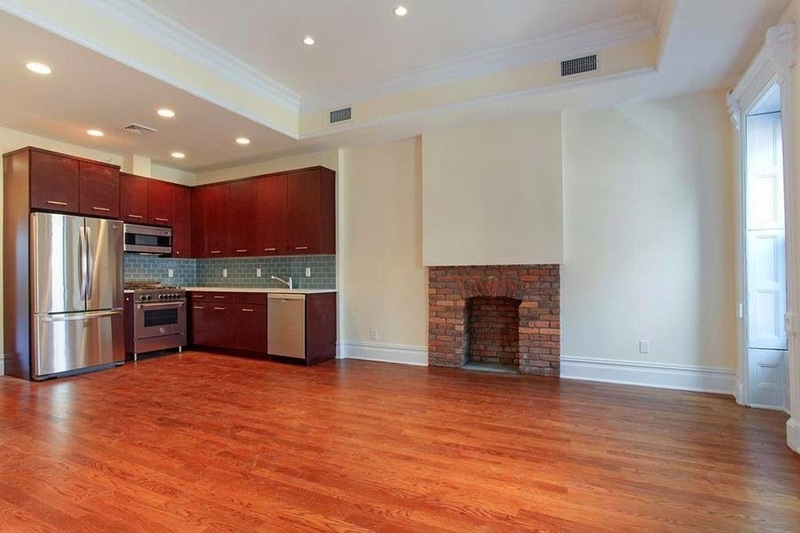 1277 Bergen Street didn't even need interior pictures to close for $1.495M this month. 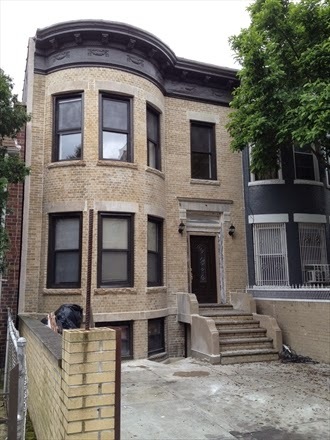 Still hard to believe people were trying to doubt limestone gems even closer to the train like 1134 Bergen Street for almost 20% less, while this 1277 Bergen was sitting in contract for asking price. 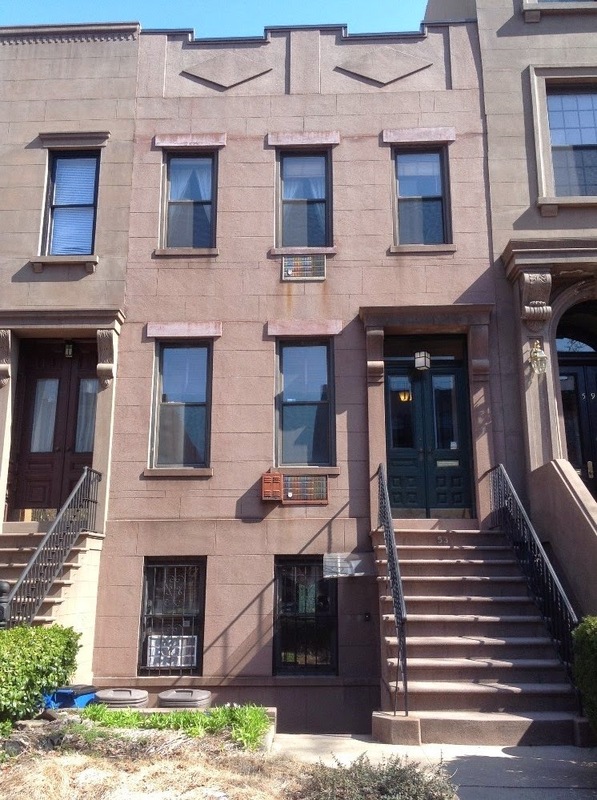 In the condo space, hop on over to Park Slope where a generic brownstone condo conversion at 482 7th Street sells another unit for over $1,000/sqft. 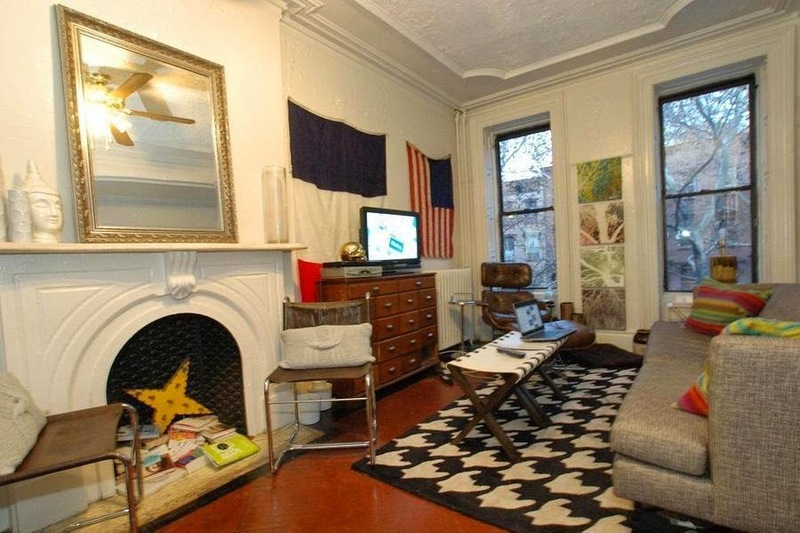 Buyers from Chelsea paid over $1.1M for one floor of a brownstone. We told you about those million dollar floor-thru apartments. Even at these high altitudes, there's still room for comparative value. 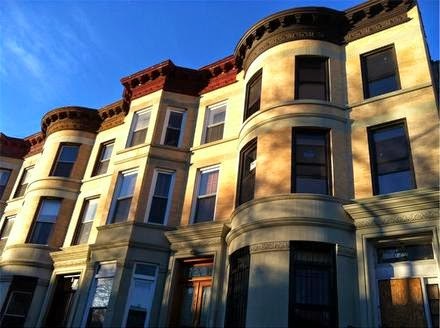 Some buyers from Chelsea opt to put their 20-25% down on a million dollar condo in Park Slope, others opt for the million dollar brownstone in Bed-Stuy. The prices are expensive, but as they say, "It's a free country." 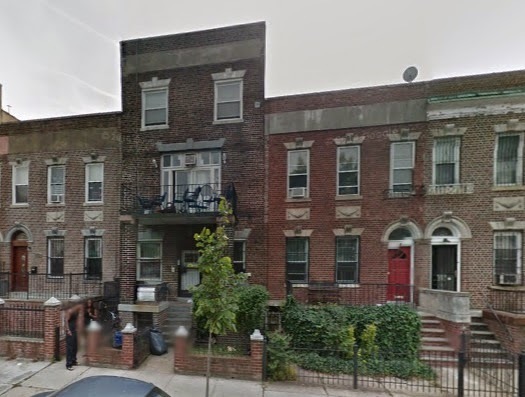 The 3-story Park Slope house at 408 9th Street isn't "fat", it's just "big boned". Or so at least the brokers called it when listing for $2.1M, then $2M, then closing it for $1.9M with a just 20% down to buyers from 8th Street. $700/sqft was no problem in this market. And cash buyers aren't the only ones telling the tale out here. 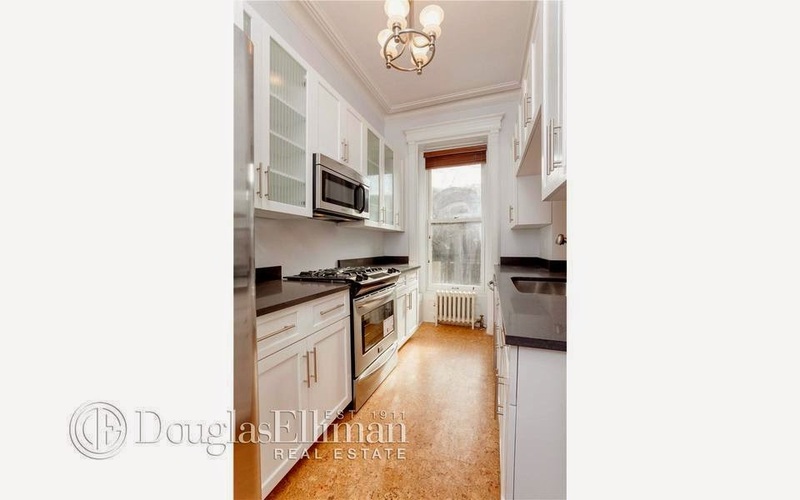 Or if you want even more value in Park Slope, then cop a unicorn like 394 10th Street like we tried to tolja' almost 2 years ago now. 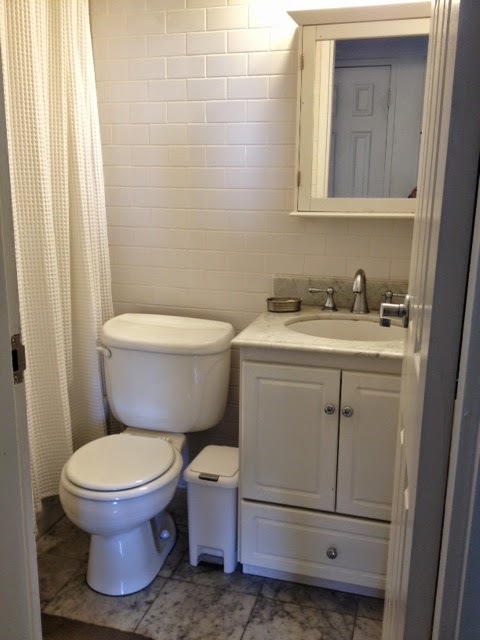 Nevermind that it's an occupied SRO and went way over initial asking price. 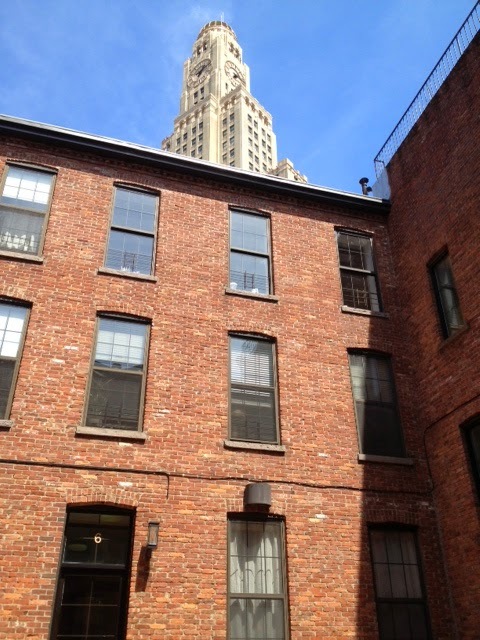 4-stories for under $1.5M is still gold in this market. It took a long time, but it closed this month for $1.425M. 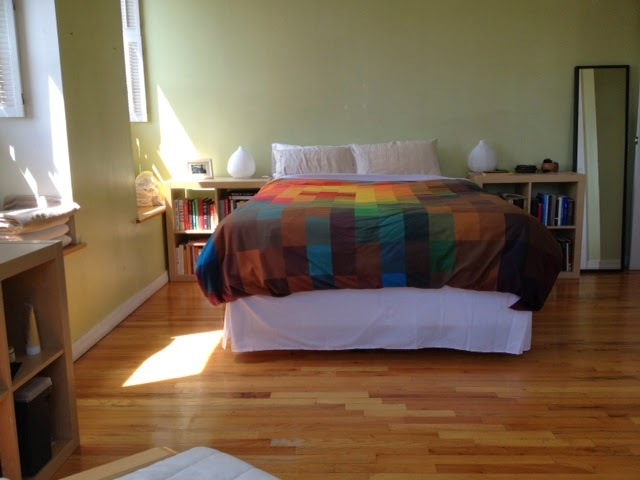 Or slide on over to Bed-Stuy where value still abounds. But don't take our word for it, ask folks coming from Manhattan. 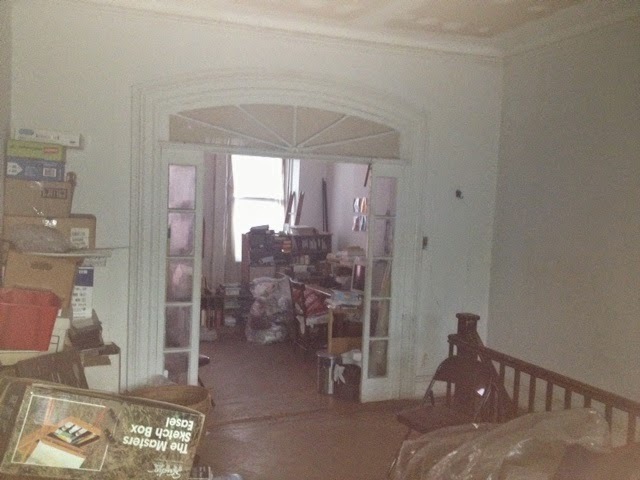 380 Herkimer Street looks like a gnarly location if you simply Google Map it. And sure it's only 17.5' wide, 3-stories, and traded for a paltry $450K last year before undergoing a generic reno & restoration. But that didn't stop buyers from Chelsea from picking it up for $950K this month with just 20% down. 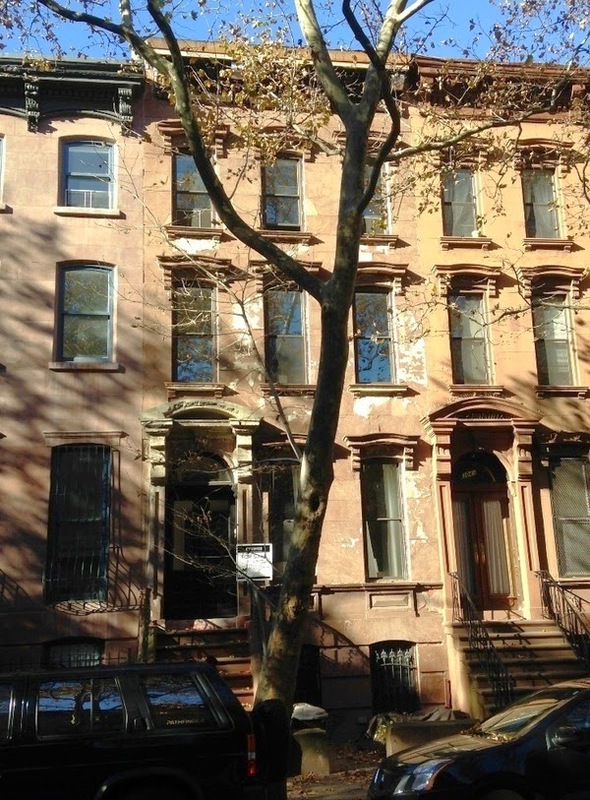 Quick flips on the outskirts of Bed-Stuy being picked up by Manhattan buyers? Yup, read 'em & weep again as 946 Greene Avenue goes to the developers for $410K last year and closes for almost $1.1M this month. 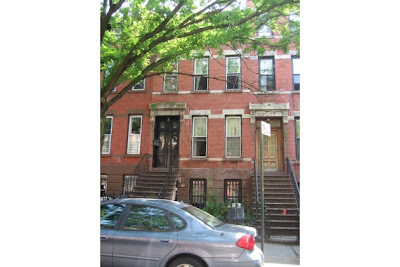 For those of you who are too good to venture out to Malcolm X Blvd, note that this buyer came from the East Village. 768 Hancock Street 'twas but an 18' wide, 3-story house all the way out in Bed-Stuy between Patchen and Ralph Avenues, near Bushwick. 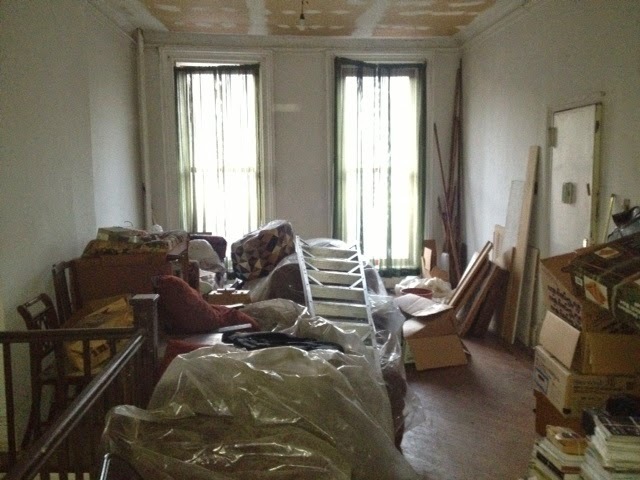 Nothing special when it closed for $357K last year, but the quick & dirty renovation was underway soon. 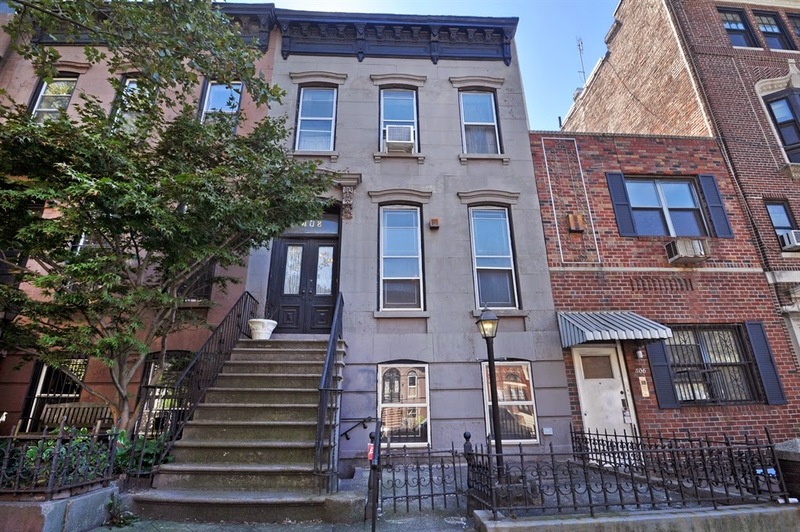 It listed for $1.05M this year and cruised to a $980K closing last month to a buyer from Jersey City with 25% down. Seen this movie before? It's becoming rare to source houses that cheap anymore, even in distressed situations, as developers and their brokers have been complaining to us recently. 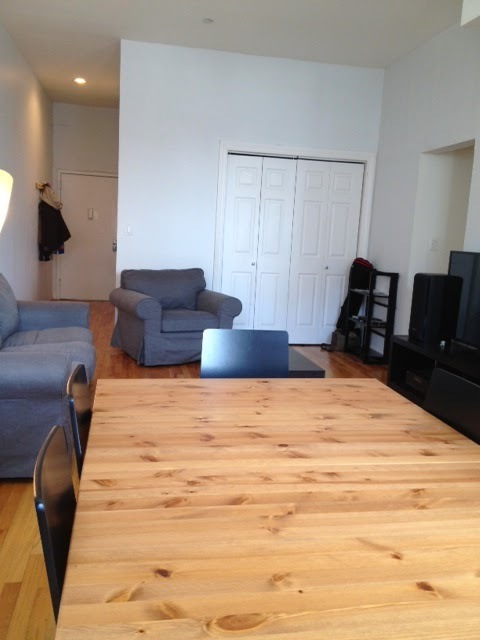 Take the tiny, well-situated, nothing special 616 Lincoln Place. Rather than going to foreclosure, they sold off-market for $750K this month. Right off of Franklin Avenue, the buyer's gotta be assuming there's enough meat on the bone here. But don't try a purchase like this on your Streeteasy or NYTimes. 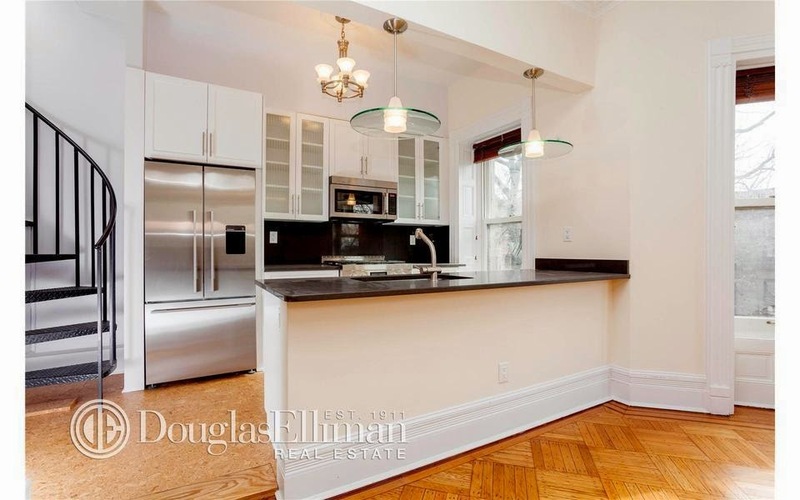 It should be no wonder that 332 Lefferts Avenue got over asking price with its refinished exterior, driveway, proper listing, and nice interior. The house closed for $945K in February. By the time this was in contract, the next round of finished two-families over here were in bidding wars all-cash over $1.2M. 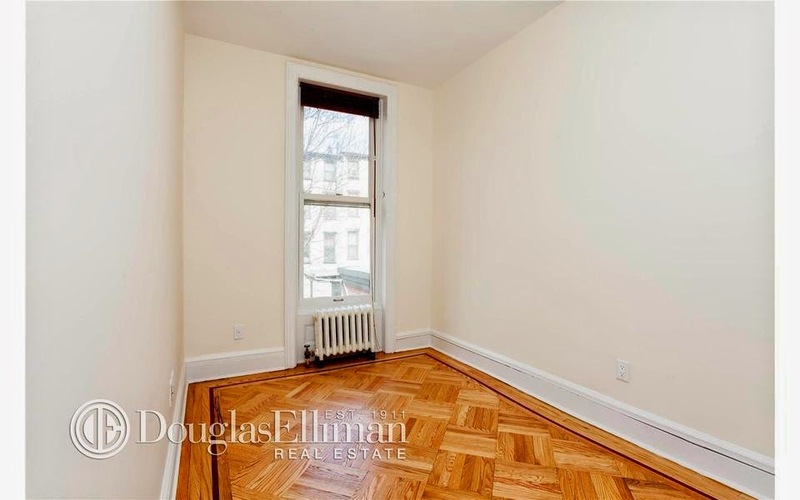 So don't be surprised that small houses like this command into the $900K's and more in Lefferts Garden, and brace yourself for these prices to go higher as the money simply has nowhere else to go. 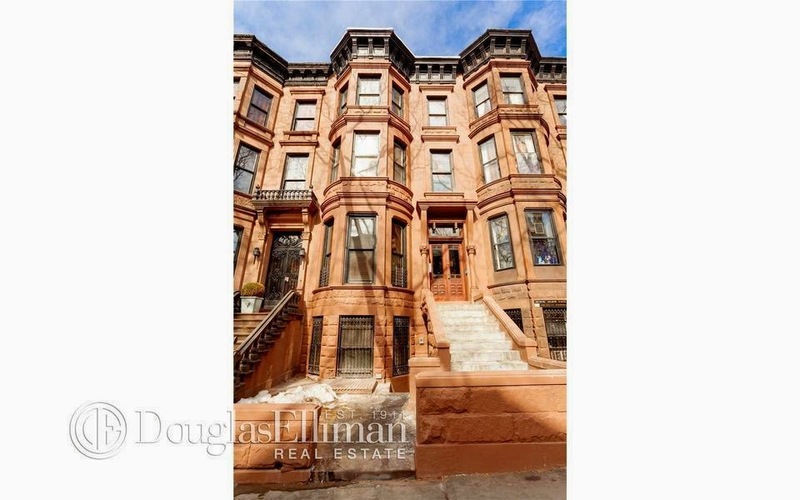 Case in point, perhaps you've digested Lefferts into the $900K's by now (even though there are $1.8M's there too these days, and the $900K's of a few months ago are the $1.3M's of today)... but don't look now! 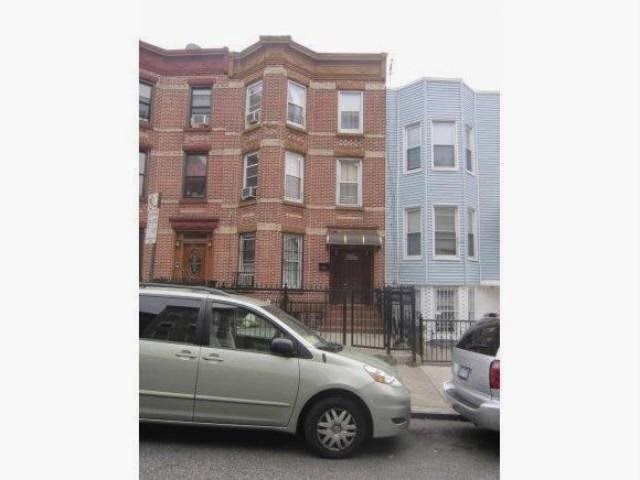 Even Sunset Park comps are well into the $900K's too! 528 51st Street closes for $990K in January. 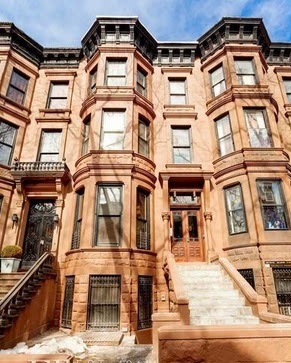 Asking $5M in 2012, which represented an incredible cap rate at mythical pro-forma rents, the prime time corner Cobble Hill location of 228-230 Court Street could not be disputed. This funeral home poised for repositioning finally closed last month for $4.55M, an incredible 7.5% cap at projected rents. But we're far from those projections yet. 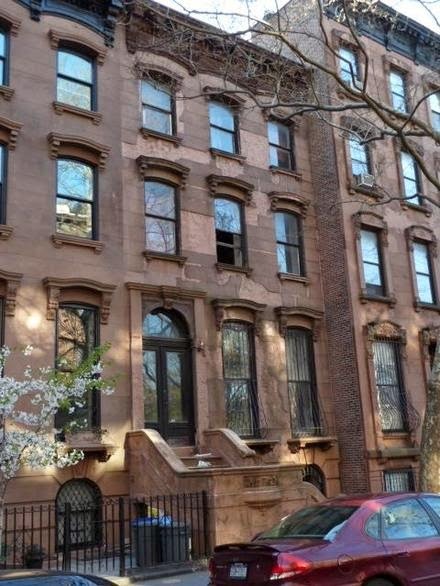 We've told you before that the million dollar brownstone in Brooklyn isn't dead, it's just getting harder & harder to find and moving ever east (and north, and south, and to Sunset Park!). 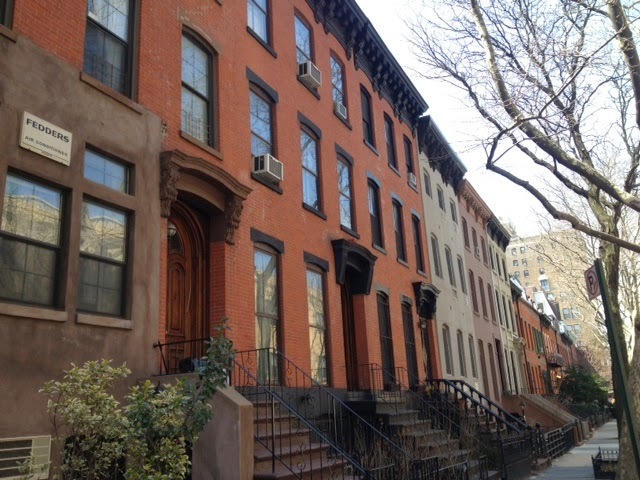 But in the tippy-top neighborhoods of Brooklyn, like a stunning brownstone block in Park Slope, you don't find brownstones for a million anymore, you find ~850 square foot 2 bedroom apartments on just one floor of those brownstones selling for a million or more. Take 777 Carroll Street, #2 in contract with an asking price of $999K (or over $1,100/sqft) after barely a month on the market. While they won't tell us if the contract price is above or below asking price, we're willing to bet it's higher, and certainly isn't significantly below. 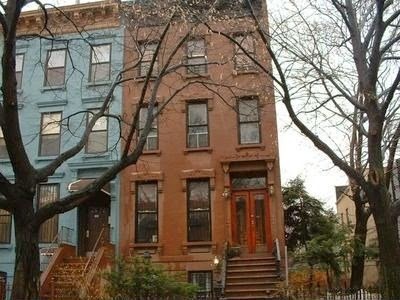 This isn't the first time we've seen a brownstone that was 80% of the way there trade in the $2M's and sell out for $1M per floor or more. 338 Clinton Avenue is Clinton Hill's answer to 777 Carroll Street. No wonder proper 2BR's under $950K like 560 State Street, #7D are attractive to buyers facing sub-1,000/sqft floor-thrus for more. 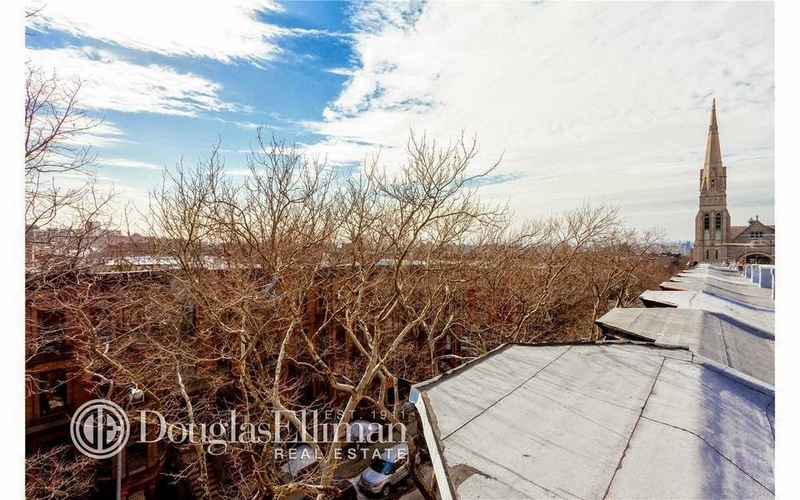 Flipping the garden & parlor duplex at 777 Carroll Street, #1, however, for $2.65M (almost as much as they paid for the entire building less than a year ago), is proving to be a little tougher than the million dollar floor-thru's. Besides whatever the duplex ends up fetching, what does all this activity teach us? 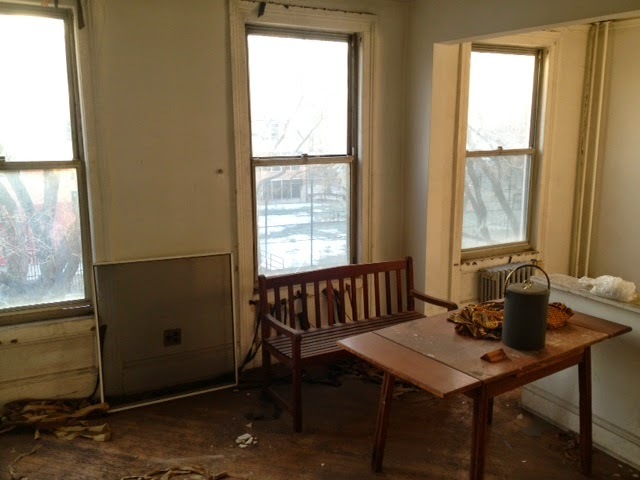 When the fixer-uppers in a neighborhood are worth over $2.5M cash, dozens of other people will step up for a smaller, more affordable slice of that same block - even if it comes at a premium. 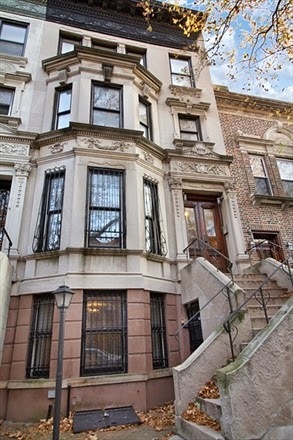 We're sure to see it again on nice brownstones trading off-market nearby. And brace yourself for what this implies about the condo market in Bed-Stuy with fixer-uppers like 196 Hancock Street going for over $2M. The price per square foot on the stylish condo at 76 Macdonough Street alone is a harbinger of things to come, and has implications for all kinds of properties in the area. Ideally: some folks call it speculation to chop up these condos, some folks say there's not enough profit it in, and other folks are actually doing. It takes all kinds. ...the neighborhood is a far cry from what it was in those days. 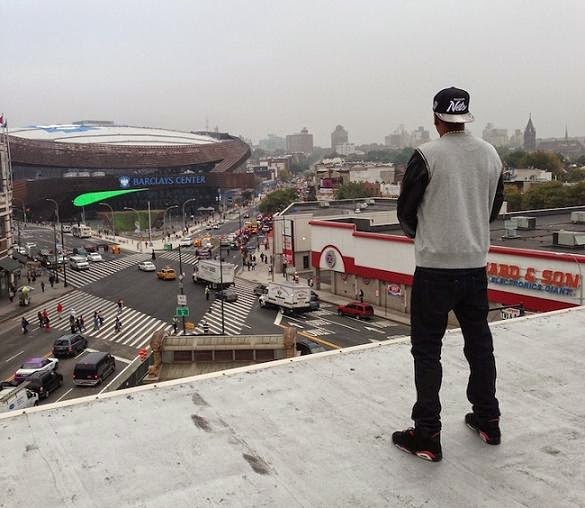 Young Hova's view don't come as cheap as it used to. 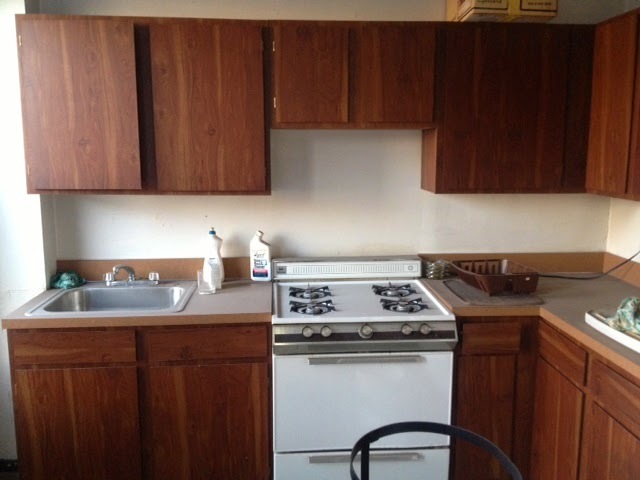 This unit #7D is a 2 bedroom & 1 bath laid out on one floor, rather than some of the other duplexes in the building. 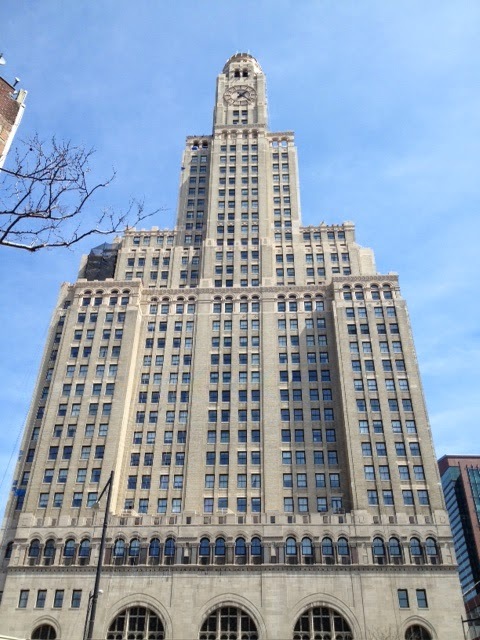 It's got 9 windows facing south east onto 4th Avenue and Atlantic Avenue. We've seen condos go for more undergoing renovations to personalize the finishes, but this one's totally good to go out the box as well. New heat & A/C unit and a new water heater were installed about 2 years ago. 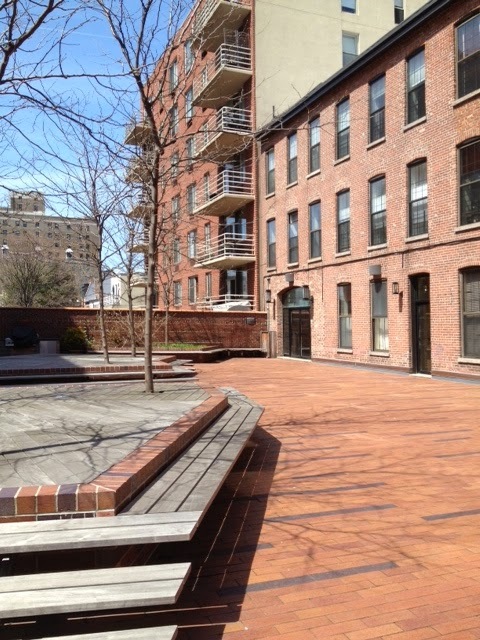 With a kid & grown-up friendly courtyard, affordable monthly costs, and a tax abatement available for owner-occupants, this is a great alternative to condos with higher maintenance in the Toren or 1 Hanson going for much higher than this. 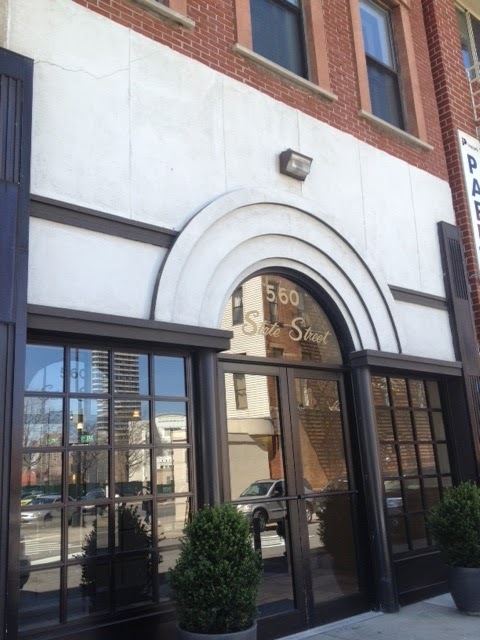 Rental income potential at 560 State Street is over $3,500/month these days too. 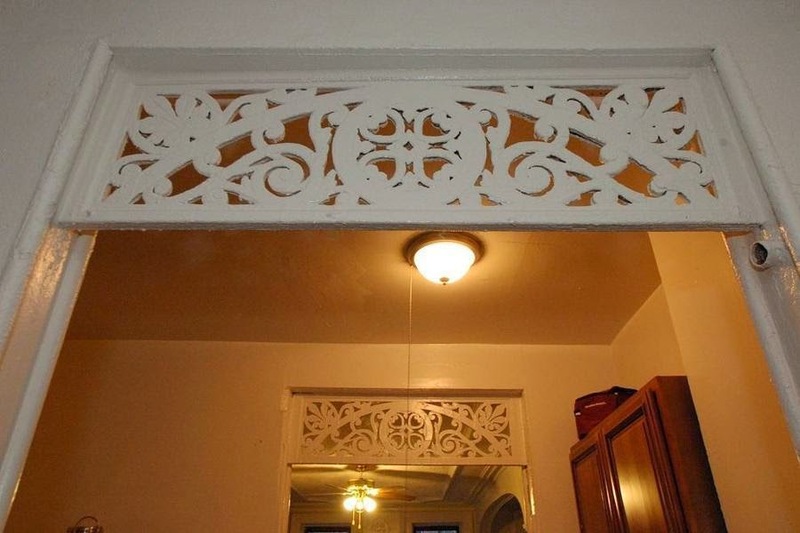 If you want to be in prime Brooklyn, don't want a 1BR, and don't have well over a million for a fixer-upper townhouse... the 2BR under a million becomes appealing again. 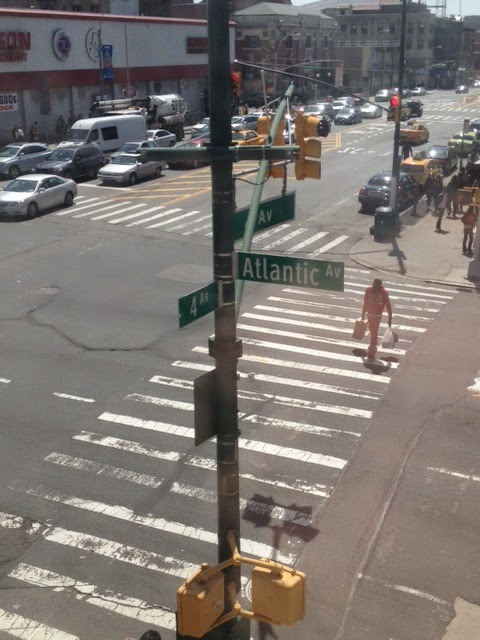 Ideally: a prime slice of Brooklyn under a million. 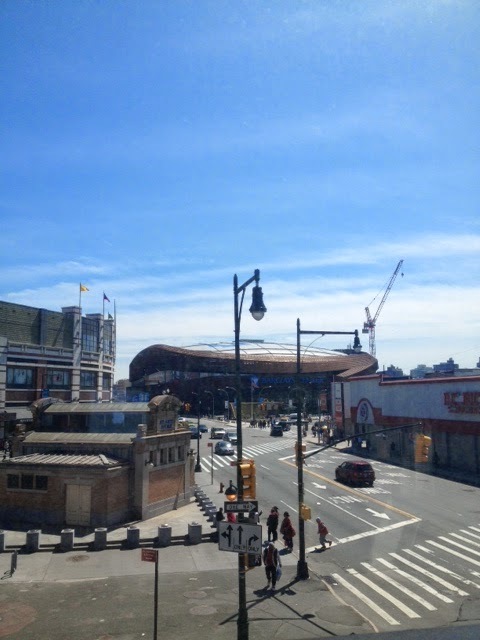 Easy to mosey on over after brunch or the Brooklyn Flea on Saturday to take a look-see. Owner's duplex with two floor-thru's above? That's the quintessential 3-Family. 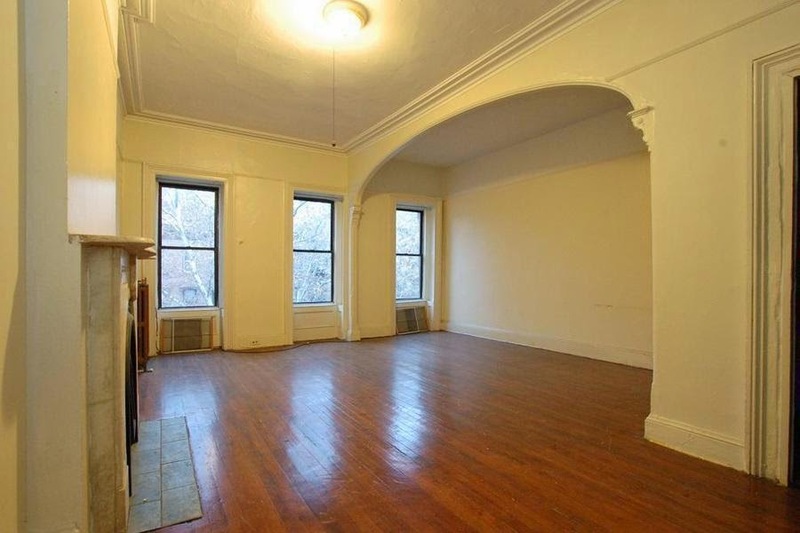 Would-be buyers try to tell us that we don't cover Fort Greene anymore, which is kind of a misnomer. It's just that the neighborhood is only one square mile and it's pretty much cooked. We go where the value is, and a $3M+ bidding war ain't value. 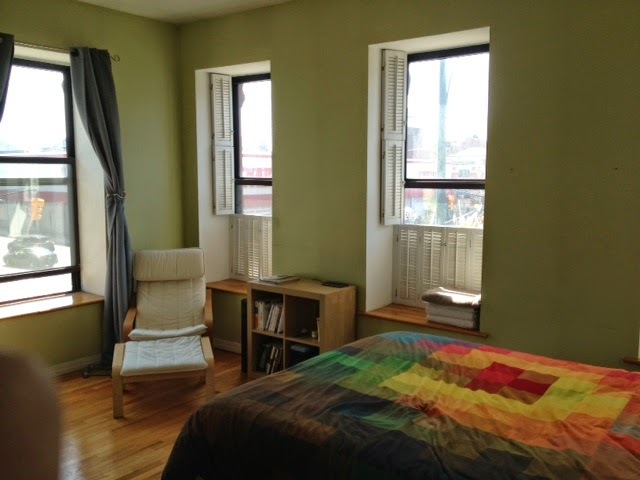 And there are simply more properties that make a suitable condo alternative at more mere-mortal type prices in this market in other neighborhoods likes Crown Heights, Bed-Stuy, and Lefferts. 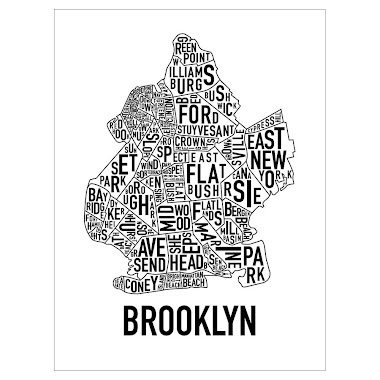 But don't front like we don't know our Fort Greene. 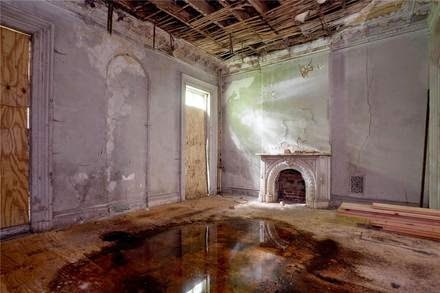 There just simply aren't that many of you who can afford an off-market estate sale for almost $2M cash that needs a complete gut. 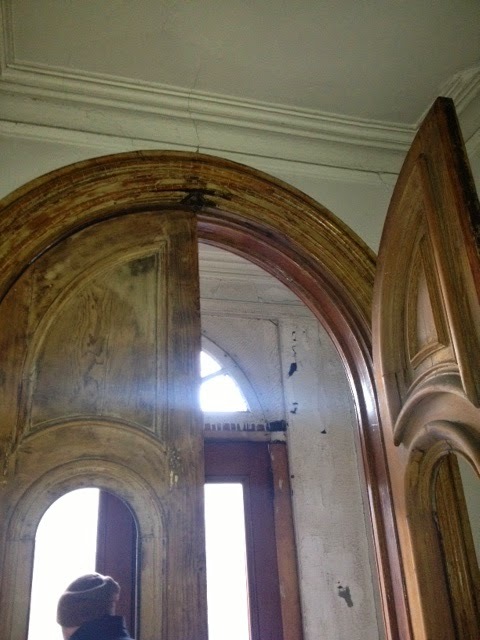 But don't worry, when they fix it up and roll it out for $3M+ with shiny pictures, we'll be there too. 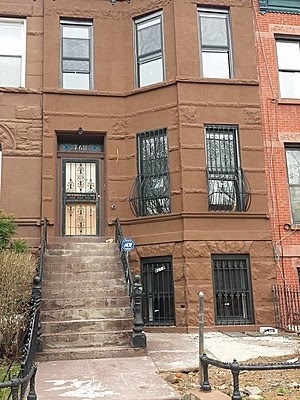 Another beautiful townhouse restoration project in Clinton Hill from the same buyer is going to ask $3.2M on-market when it's all finished, but pre-market cash shoppers may not even let it hit the market. They say, "The game is to be sold, not told." We think you can do a lil' of both. Ideally: don't try using this as a comp in the neighb' unless you could've duplicated this same transaction. This deal soars over $2M as-is with an open house or two, but we'll bet anyone it fetches over $3M on the flip before it's all said & done.